Proteins are the primary building blocks of our bodies. They are used to build tissues like muscle, tendons, organs, and skin, as well as many other molecules that are essential to life such as hormones, enzymes, and various brain chemicals. Proteins are comprised of smaller molecules known as amino acids, 12 of which our bodies produce (non-essential) and 9 which we must get from the protein in food we eat (essential). Out of the 3 macronutrients (protein, carbs and fat), protein has be proven to be the most satiating. A high protein diet reduces hunger, resulting in fewer calories being consumed. 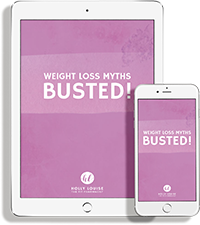 This is caused by improved function of weight regulating hormones. Research shows that a high protein diet is easier to follow when in a calorie deficit because it results in less hunger, mood disturbance, stress, fatigue, and diet dissatisfaction than lower protein diets, which in turn leads to improved dietary compliance. Muscle is made primarily of protein and therefore it is the “building block” of muscle. Without enough of it, your body can not build muscle. Muscle growth relies on adequate proteins being available and this is itself reliant on the balance between protein intake and re-synthesis and protein breakdown; referred to as protein balance. Basically, we need to ensure that protein intake and synthesis is higher than protein breakdown for muscle growth to occur. Combining weight training with adequate protein will result in optimal muscle gain. 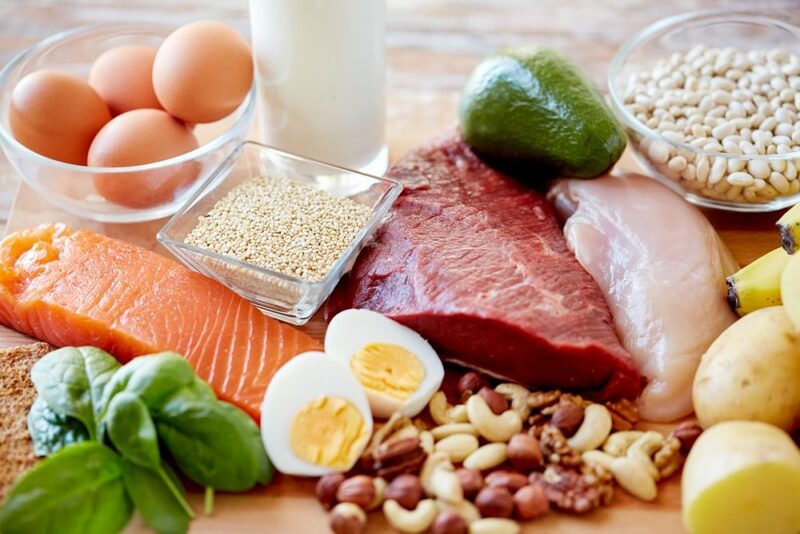 Eating a sufficient amount of protein on a daily basis is the key dietary factor in assisting your body to preserve your muscle and burn fat instead while in a calorie deficit. The amount of protein we eat every day is the primary factor which determines if our body is getting enough essential amino acids, however, the quality of the protein we eat is also important. Studies have shown that consuming 0.8-1.2g per pound of bodyweight (1.8-2.7 g/kg) is sufficient for both building muscle in a calorie surplus and retaining muscle during a dieting phase. Leaner individuals should opt for the higher end of the range while those with higher body fat should aim for the lower end. In terms of meal frequency and timing, hitting your daily protein intake for the day is the most important factor, however, eating 4-5 meals per day with your protein target spread out evenly across the day is optimal for stimulating muscle protein synthesis (building or maintaining muscle). If you’re aiming for maximal lean muscle gain, and eating in a caloric surplus to gain weight, you probably want to avoid extended periods of fasting (anything longer than 12 hours). I have found that implementing daily protein targets alone for my clients has produced some amazing results. If you are looking to transform your body or even to just improve your health and vitality – then adding protein to your diet should be your first step! If you need help with an effective customised nutrition program which prioritises the benefits of protein, then contact me today and let me help you!